We have Just Sold out of Star Wars Episode VII The Force Awakens First Order Star Destroyer Plush. This Item is unavailable at present. From the Star Wars collection by Comic Images. 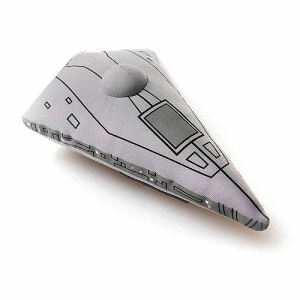 Star Wars Episode VII The Force Awakens First Order Star Destroyer Plush. Deformed plush measures 6 inches tall.